I have almost always had a cat and other animals in my life. I attended my first cat show while I was living in Virginia a number of years ago. 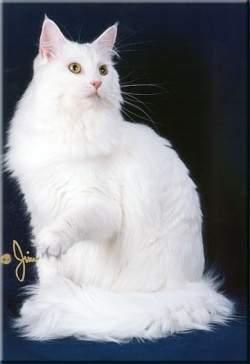 I saw a gorgeous white cat being held high under the lights and the rest is history.